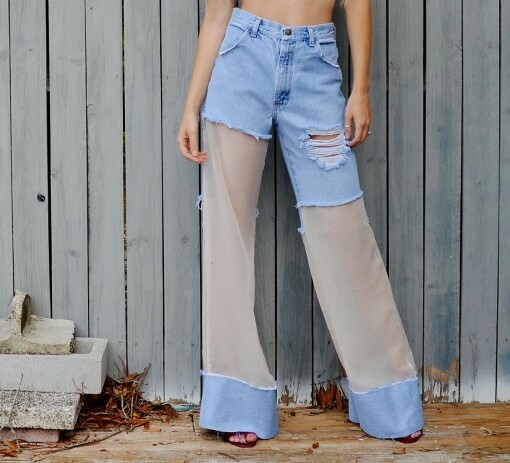 Vintage sheer wide bell jeans. Womens high waisted jeans. Catalog > Vintage sheer wide bell jeans. High waist. Ready to ship. 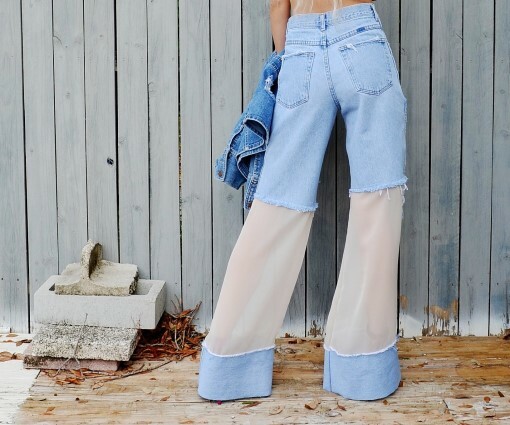 Sheer wide bell jeans. Vintage. High waist. Ready to ship. Size 2/3. Sample from the photo shoot. Please check product details below for size and measurements. Destroyed denim jeans. Vintage. High waisted. Super cute, one of a kind, jeans. This listing is for the pair in the pictures. Please check size and measurements before purchasing. WAIST . at waistband. 26". Will ship within three days of payment.